After your hospital visit, helping you get home and feeling like you again is top priority. Working at your pace, and planned with your doctor, the team at Superior Care Home will design a rehabilitation program just right for you. A ‘bridge of care’ between hospital and home, transitional care is about a safe, quick recovery after hospital stay. Most patients experience 10-14 days of comprehensive skilled nursing and rehabilitation therapies. Learn more about Transitional Care. A ‘journey of care’ between hospital and home, short-term care is about gaining back energy and motivation to achieve goals. 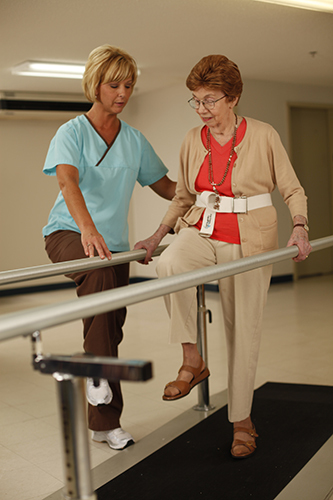 Most patients experience 30-40 days of comprehensive skilled nursing and rehabilitation therapies. Learn more about Short-Term Care. While others talk about offering high quality transitional care and short-term skilled nursing / rehabilitation in Western Kentucky, Superior Care Home is winning awards for it. Skilled nursing care is coordinated by a professional team of therapists, nursing assistants, dietitians, social workers, and recreation specialists who work together to promote health, happiness and quality of life.